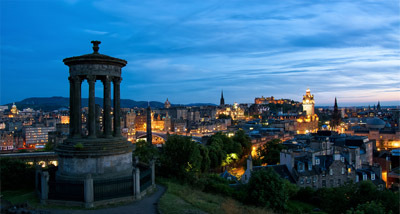 Take the free walking tour and learn more than you thought possible about the Royal Mile. Find where JK Rowling wrote Harry Potter on napkins, see famous names at Greyfriars’ Kirkyard. On Candlemaker Row, find out whose ashes are in the mortar of the brick buildings and more extraordinary tales from the city. A must for fans of Braveheart, the River Forth runs through this stunning valley, with the Wallace Monument looming above. Stirling Castle’s royal hall is still painted in bright colours, and you can watch the famous Unicorn tapestries being recreated on giant looms. Visit Skara Brae on Orkney, a neolithic (5,000 year old) village uncovered when a storm disturbed a sand dune in 1850. It is now a UNESCO World Heritage Site, alongside other ancient sites on Orkney, including two stone circles. 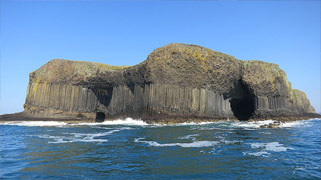 On the uninhabited isle of Staffa, this sea cave is reached by boat from Mull off the west coast of Scotland. It is said that composer Felix Mendelssohn was inspired by the eerie echoes in the cave. Gallop on sandy beaches, swim with your horse in a highland loch and canter across heather-covered moors on a seven-day coast-to-coast trail ride from Brora in Sutherland to Loch Inver on the west coast. This Charles Rennie Mackintosh house with its stylish interiors, perfect for lavish entertaining and appreciation of fine art, holds masterclasses with local artists, as well as exhibitions. Currently in development is a programme of art, design and architecture courses. Explore the most north-westerly corner of mainland Britain, travelling via a 10-seater boat across the Kyle of Durness, past beautiful Kearvaig Bay and then take a 12-mile mini bus ride to the tip to see the Clo Mor cliffs. The last Tuesday in January sees the fire festival of ‘Up Helly Aa’ in Lerwick, Shetland, attracting thousands of visitors. Take part in the torch-lit processions, and galley burning. Expect the chanting of Viking songs, and lots of fun. Saint Andrews boasts one of the most beautiful cathedral ruins and graveyards, sitting alongside a rocky coast. There is also the world famous golf course, a fantastic museum and a city that is full of history.